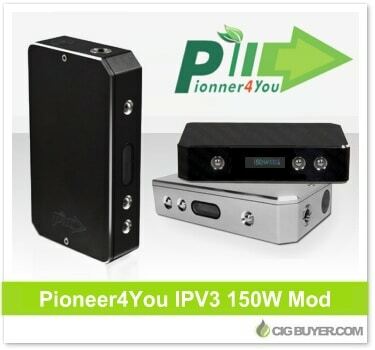 The IPV3 Mod by Pioneer4You is a beastly mod that packs up to 150W of power and utilizes the Yihi SX330 V3 150W chip. Known for it’s reliability and strong performance, it handles resistances as low as .1 ohm and is perfect for high-powered, sub-ohm vaping. Recommended for only the most advanced vaping enthusiasts, it incorporates a variety of built-in safety features and the firmware is upgradeable, up to 180 watts. Pioneer4You recommends two 30A 18650 batteries (sold separately) for maximum performance.